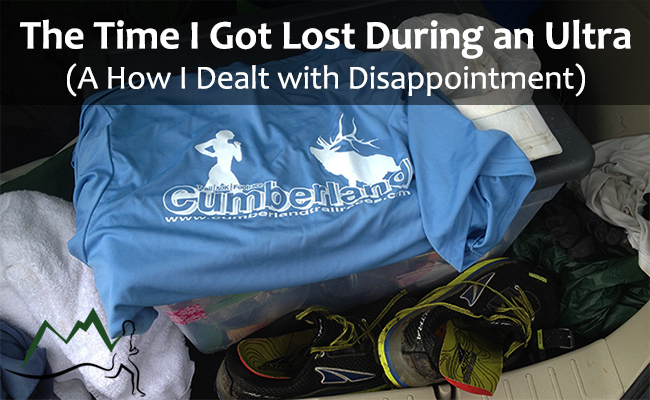 Last Saturday, with one mile left in a 50k ultramarathon, I made a 4-mile mistake. To tell this story properly, I think I should start from the beginning. About three months ago I was hanging out on UltraSignup, looking for an October race, when I stumbled upon the Cumberland Trail 50k. Not only was this a solid mountain race, with over 8,000 feet of gain, but it was a point to point, traveling (almost, I would soon learn) the entire length of the Cumberland Trail, with beautiful and technical singletrack. Just the kind of race that feeds my inspiration. On top of that, it was tiny, with only about 20 racers on race day. Since my very first, I’ve approached ultramarthons more as a challenge than a race. The point was always to see what I could do on that particular day, and not worry about what others are doing around me. I guess that’s in part because I haven’t been competitive enough to try to win a race, but also because that’s never been the motivator. But after a great summer of training in the mountains of Western North Carolina, and with a small field running a course that fits my particular strengths (slow, technical trail, with lots of climbing and descending), I caught the competitive bug. How could I place if I really set out to race? I knew I wasn’t a contender for the win (UltraSignup ranks you against other entrants ahead of time based off previous ultramarathon finishes), but I did want to see what I could really do if I fought for it. If I was going to blow up, I was going to blow up big. And on race day, after a night of channeling my inner dirtbagger and camping in the back of the car, I was jazzed and ready to race. Normally in a race report, the author might break up their race into 10 mile increments, or let the course dictate the separations. But for me, there are only two distinctions: the miles before I miss a turn, and the miles after. The first 29 miles go pretty much as planned. I run smart, push hard, and use a group of 3 other runners to keep me on pace and where I wanted to be. As for the course, it is spectacular. Vibrant yellow and orange leaves and remote singletrack keep our minds off the rain and fog and inspired to cover miles. Because the course follows a single trail (aside from a quick detour early in the race) from start to finish, the race director had no need to mark much of the course. For nearly the entire race we are to follow the white blazes that identify the Cumberland Trail. All day long I focus on those white strips of paint. White paint means I’m moving the right direction. With about 8 miles to go, I reach the last major climb before descending nearly 6 miles to the finish. During this climb that I hit my only real low point, losing some ground, but quickly regrouping in time to charge the downhill that should ultimately lead me to the finish. I’m descending very well all day, and I know that if I just put my head down and grunt it out, I can make up any lost ground and then some coming into the final miles. Hopefully placing right where I predicted. So that’s exactly what I do. I put my head down and take off. I’m moving so quickly that I slipped on the juicy mud three times during that final decent. But I don’t care. Each time I hop up and continued forward. Following the white trail markers. As I start that final descent, I know I’m making up ground. Even if I’m not able to pass anyone else (which I really believe I can), this was to be my strongest ever ultramarathon finish. I’m start feeling a sense of pride. I even start thinking about what this post will look like after a race where just about everything went right. I push on, following those white makers. After awhile, however, things started feeling off. I’m running along a highway, which doesn’t makes sense. And I hit another climb when deep down I know I shouldn’t. But I charge on, looking over my shoulder to see if anyone is coming and focusing up the trail to see who I can catch. Finally I glance down at my watch in frustration. It reads 32 miles. More than a mile longer than it should, and I can tell I’m still nowhere near the finish. Damn it. Where did I go wrong? I’m following the trail! 1000 curse words and questions run through my head. Stubborn and still afraid of getting passed if I am in fact on the right path (stupid, I know), I keep going. Until I run into some campers. “Hey! Do you know how to get to Cove Lake State Park?” I yell from the trail about 30 feet up the hill. They turn to see who is calling out, and look somewhere between confused and frightened as I catch their eyes. I’m a mess. Mud splattered throughout my white shirt, caked on my legs, and smeared all over the back of my shorts from sliding. I’m also soaking wet, tired, and hungry. I’m ready for the this race to be over. It was a question I have no interest in answering, knowing that if I say 32 miles up the trail, it will require a much longer explanation. And I’m pissed. Instead, I ignore their question and respond with another. “Are you sure it isn’t that way?” I point in the direction I was going, hoping for a different answer. “So have you seen any other runners pass through?” I look for something, anything that doesn’t make me feel so defeated. At least it’s something. I slowly jog, completely defeated, down the side trail to the road, where I flag down a car for further directions. I contemplate hitching a ride, but knew that even if I want to, no one will give me a ride looking like this. Over the course of the 30 minutes it takes me to walk/jog the two miles back to the finish after turning around, my emotions go from anger to disappointment. I put so much into those last miles, only to realize I was literally going the wrong way. I’m out here to prove what I can do, and botched the whole damn thing. Finally I arrive at the finish line, coming from the opposite direction as everyone else. No joke, I actually cross the line from the other side. But by the time I make it to the picnic area where the other runners I had been chasing down were already showered and eating pizza, I find that the disappointment has faded. The small crowd cheers me in, and laugh with me at the story, and the race director sighs with relief. He’s just glad to see me. I don’t run ultramarathons for the perfect race. No one does. Ultras are just too unpredictable and would leave you too disappointed. Something I had forgotten when caught up in the excitement of competition. Instead, I run them for the challenge. Missing a turn and getting lost is just a new challenge. Once I’m able to let go of the disappointment and laugh at the situation, I’m able to accept that. In a way, it’s a relief. I still ran well. I still covered nearly 35 miles. And I still learned a little better what I am capable of. And of course, I still exposed my weaknesses. Overcoming obstacles, digging deep, dealing with disappointment, and achieving something great. That’s the storyline of all successful ultramarathons. That’s what ultrarunning is all about. This might not be the post I dreamed of writing at mile 28. But that’s OK.
Side Note: It turns out that turn off was marked properly and I just simply missed it. This was a beautiful race I hope to come back to next year, and figure out exactly where I went wrong. Has Ultra-Endurance Running Become A Joke? Thanks! A finish is a finish! “Instead, I run them for the challenge. Missing a turn and getting lost is just a new challenge.” – Fantastic! Great job on the finish – and great job on the perspective! Ohno! Well definitely seems a learning experience; at least you didn’t get injured whilst lost, too! Congrats on the finish! I know! It could have been a lot worse. Thanks! I absolutely loved this post. Inspiring. I feel like I ran the race with you because the last mile is exactly like something I would do. Thank you for sharing this! Haha! Well I hope it doesn’t happen to you too! I got lost in my ultra this weekend as well. I figured that it was only a matter of time that that happened. Funny thing is, two of us were still on course, but somehow running the wrong way. We didn’t realize it until we came across other runners. Only added an extra mile and still happy with my finish. The wrong way? Now that’s a mix up! Congrats on the finish! I’ve made a wrong turn the last mile TWICE in 50Ks. The satisfaction of completing an ultra and the memories made soon overcomes the initial frustration. I enjoyed your report! It seems to happen more frequently than you might think! But you’re right. As soon as you reach that finish, it doesn’t matter anymore.